Persuasive research topics - your belief, your point of view ... researched, explained and communicated! 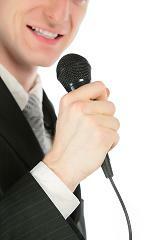 Interesting persuasive speech topics allow you to do just that! Your topic for persuasive speech allows you to take a stand, research the facts and then to make a convincing case with an effective persuasive speech outline - either supporting or opposing a certain issue. Good persuasive topics let you speak your mind! Recycling - an option to heal an imperfect world or a forced legislative law for all to adhere to? School uniform - a forced conformity created to threaten individuality and to suppress freedom of expression. Going naked is preferable to wearing furs! Ongoing provision of foreign aid - a helping hand encouraging sustainability or a crutch further entrenching dependency? Free disposable needles for drug addicts - a necessary compromise! Journalists - keeping the world informed and the media networks wealthy while preying on the despair and misery of others. A small white lie - what harm can it do? Teenage vandalism - parents must be held financially accountable for their children's transgressions. Driving under the influence - three strikes then your license is revoked for life? Financial social support and welfare - for a limited time only! Topic for persuasive speech - take your pick, do your research and formulate a convincing argument. Sport persuasive speech topics show you how it is done! The floor is yours - take the stand and influence your audience!